What up, book clubbers? It's a beautiful Friday morning and we're supposed to have sunshine all weekend!! Woot Woot! So, this week, I'm reviewing Rob Lowe's Autobiography, Stories I Only Tell My Friends. From the Flap: A teen idol at fifteen, an international icon and founding member of the Brat Pack at twenty, and one of Hollywood's top starts to this day, Robe Low has spent almost his entire life in the public eye. Now, in this wryly funny and moving memoir, every word of which he wrote himself, Rob chronicles his experiences as a painfully misunderstood child actor from Ohio who was uprooted to the wild counterculture of mid-seventies Malibu, where be embarked on his unrelenting pursuit of a career in Hollywood. The Outsiders placed Rob at the birth of the modern youth movement in the entertainment industry. During his time on The West Wing, he witnessed the surreal nexus of show business and politics both on the set and in the actual White House. And Rob tells unforgettable stories of the years in between, of the wild excesses that marked the eighties and led to his quest for family and sobriety. No other actor could write about this era in Hollywood with such wit, candor, and depth. Never mean-spririted or salacious, he delivers unexpected glimpses into his successes, disappointments, relationships, and one-of-a-kind encounters with people who shaped our world over the last twenty-five years. My Take: I'm going to tell it to you straight. I didn't like it. 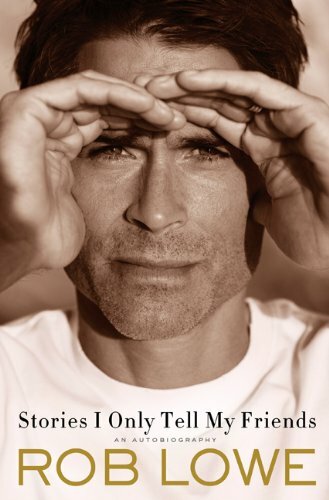 The book has been getting great reviews from book blogs I love, as well as from Twitter peeps, so I figured it was worth a read even though I'm not exactly a massive Rob Lowe fan. He was cute in St. Elmo's Fire though, and looks smoking on the cover, so I picked it up. Maybe it's because I love Chelsea Handler and Bossypants, but Rob Lowe came off as a total douche. Okay, maybe not a TOTAL douche but definitely a condescending one. He's clearly spent some time crafting his writing, but there were times I couldn't help but start scanning. The primary problem was: it just wasn't entertaining. I hadn't known that he essentially grew up next to the Sheen's (Charlie & Emilio) and reading stories about their friendship were mildly interesting but he drops names in the most irritating way possible. He spends a long time physically describing a person and then tells the story of their exchange. I never had a clue who he was referring to. At the very end of the chapter, he finally writes his/her name. So then, I'd go back to the beginning and read it again so it would make more sense. He also bellyaches A LOT about how he wasn't paid enough on The West Wing and has been ignored by the bigwigs of Hollywood *yawns* There's also quite a lot about American politics in the nineties...which I know little to nothing about. So, I guess if you want to know how Rob Lowe got some of his favourite roles and appreciate little anecdotes about big stars from the 80s then you'd dig this book. If not though, I wouldn't bother reading it. There's way better options out there. So sorry this book wasn't good. I didn't even know he had a book but I could see how this wasn't a good one. Guess I will skip this one :) Thanks for the review though! I hate when a book sounds good, but it turns out to be so disappointing! Thank you for linking up! Haha - Stevie! You're one of the reasons I picked it up in the first place! I'm hoping my read for this week is better! 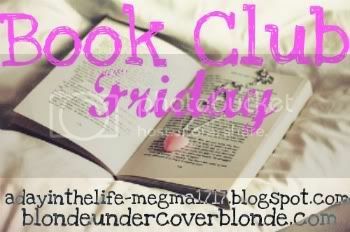 Yay for Book Club Fridays! Just stumbled across your blog and had to comment when I saw you didn't like Rob Lowe's book. I'm currently reading it- borrowed from a friend- I didn't even know he had a book.